Holi is around the corner and I love the festival so much as its brings the family and friends together and we can all be crazy. I love creating cards for festivals and when I recieved the Holi themed dies from Shalini I was so happy. I am so glad that indian manufactures are coming up with designs which suit our culture and traditions. 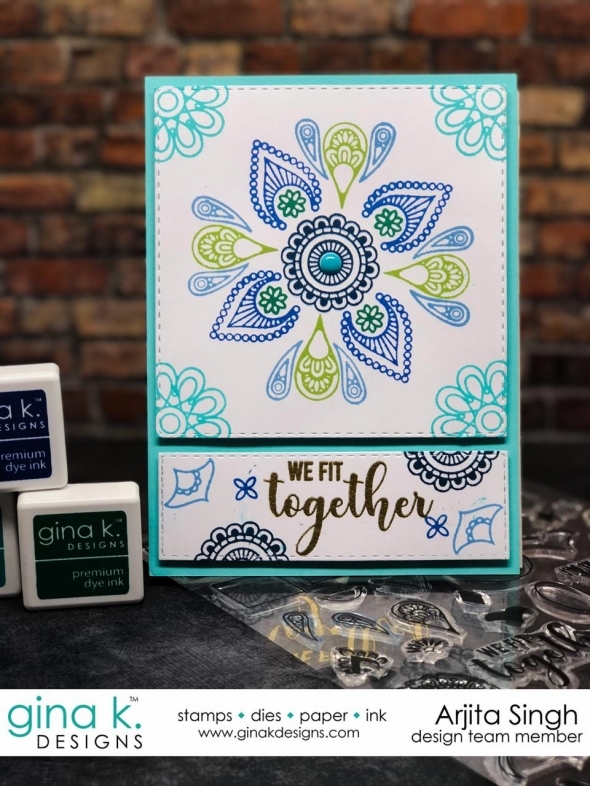 Welcome to Day 1 at the Gina K Designs October Blog Hop. Today I will be sharing the cards I created using MEN OF FAITH designed by Melaine Muenchinger which is one of the most requested stamp set after she designed the Women of Faith stamp set. The second set is the gorgeous and versaitle MANDALA MAKER designed by Rina Krupsky. 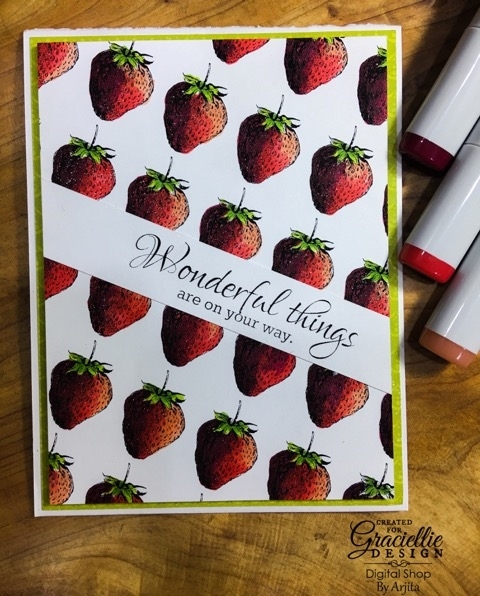 This stamp is going to be extremly popular as its very easy to create beautiful patterns. 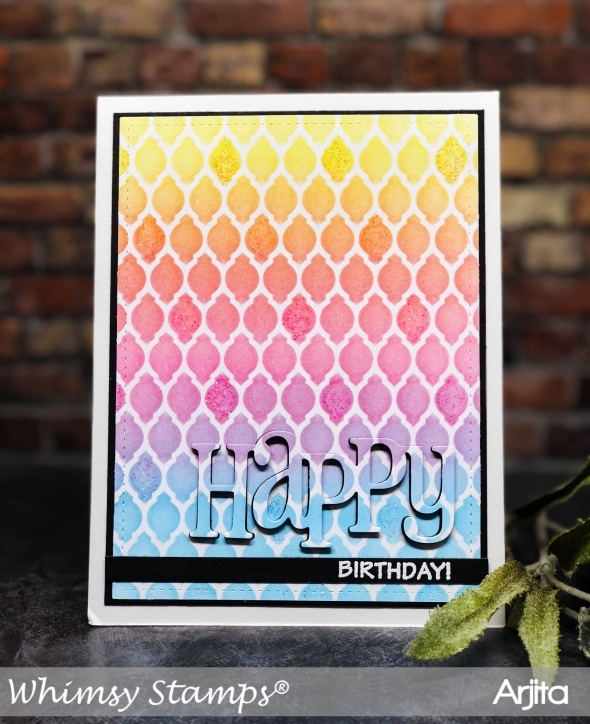 Today I have a super simple quick CAS style card created using a stencil called Formal Lattice by Whimsy Stamps. I selected few distress inks and inked the card stock creating a rainbow effect. 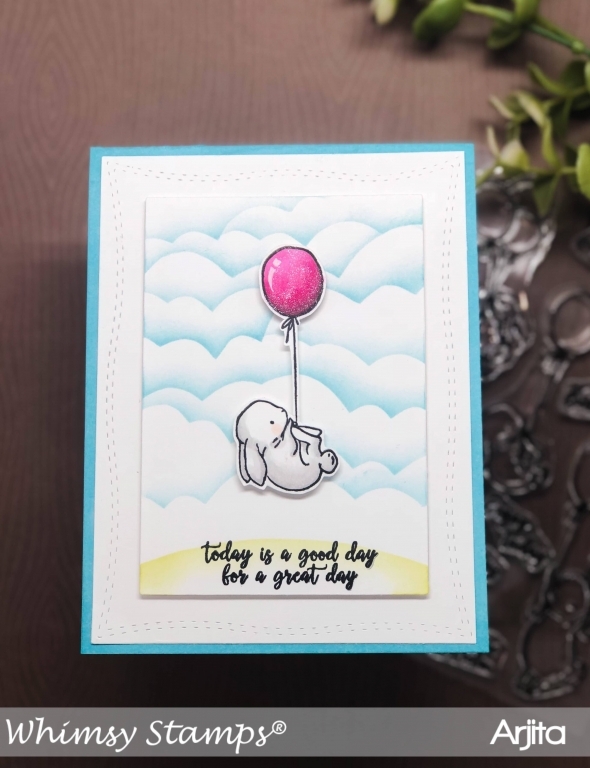 I have another cute card today which comes from the stamp set called BUNNY BALLOONS and is a part of the new April Release. I love the bunnies and this stamp set is very versatile . 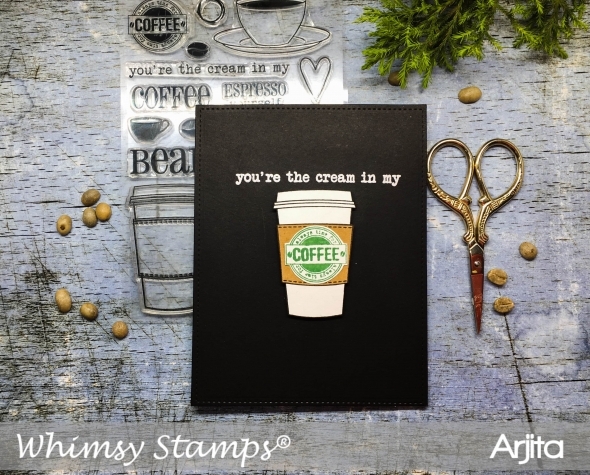 I have made a cute scene using this stamp and also used a frame die to create the card. I am back with another cute bunny card and this time its flying high in the sky. 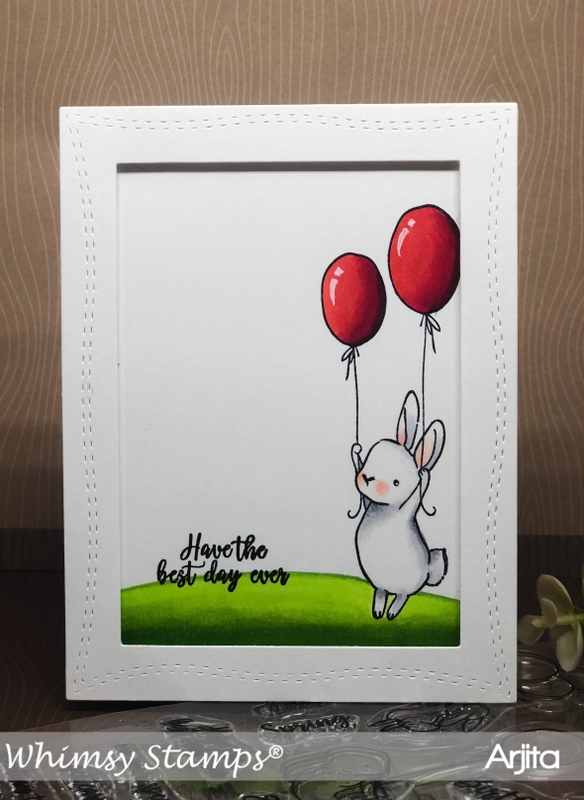 I have used the New stamp set called BUNNY BAllOONS which has been a really popular and liked set from the April Release. 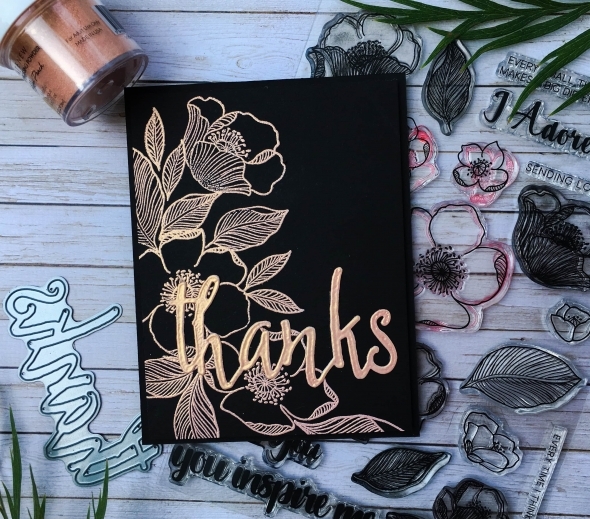 I am here with another simple yet elegant card which involves only heat embossing and some pretty metallic embossing powder. Today's card is one of my favorites beacuse it so unique and so well thought of. 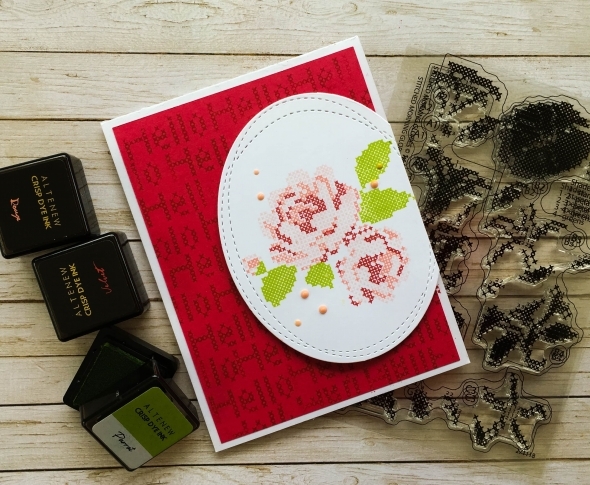 I love this stamp set by Waffle Flower which is mindblowing and so gorgeous. I have seen my mom create beautiful hankies with cross stitched patterns and the moment I saw this stamp all my memories got fresh. Its a simple card to create and take a little effort to align the layers perfectly. I am so excited to share my daughter's card project today on my blog. She is extremly creative and talented and creates a lot of fun things. 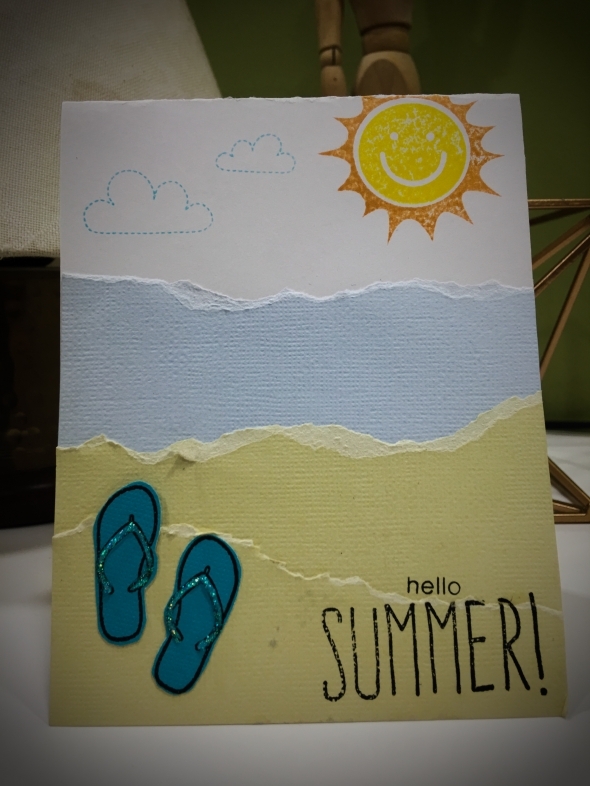 Today she made this card for a challenge hosted for kids by Simon Says Stamp.